I recently watched an episode that has so far only been shown in japan. 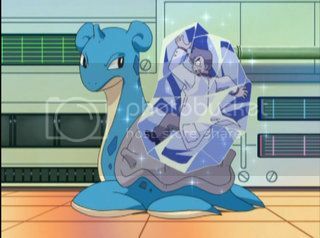 In this episode, Ash and the others go through Reflection cave. Everyone looks at their reflection and when Ash looks at his, a portal opens, allowing Ash's mirror-self to grab Ash's Pikachu. As it turns out, Mirror-Ash's Pikachu gets separated from Mirror-Ash, causing him to get upset and lonely which is why he grabs Ash's Pikachu in the first place. Of course, this causes Ash to go into the mirror world and confront his mirror-self who turns out to be an absolute coward! At the same time, Mirror-Ash's Pikachu is being chased by Team Rocket, who had somehow ended up in the mirror world like Ash did. Mirror-Pikachu is quite aggressive and mischievous compared to Ash's Pikachu, which surprises Team Rocket. When Team Rocket realise there are two versions of Ash and Pikachu, they then capture both Pikachu, which leads to both versions of Ash battling against Team Rocket with Mirror-Ash failing miserably! Ash returns to his own world after saving both Pikachu and reunites with the others. I'd like to know how the writers expect a Mirror-Ash to work. I mean, Mirror-Ash would have had to have gone through all of the stuff that Ash had been through during the events of the entire series. How did Mirror-Ash handle such situations as the encounter with the Spearow in the first episode. How about all the gym battles Ash had won. I honestly can't see a cowardly version of Ash - who can't even handle Team Rocket on his own, winning any gym battles! How do you think Mirror-Ash handled all the situations that Ash did? I'm curious what you all think about this. I watched the episode again recently, this time with subtitles. Mirror-Team Rocket are heroes instead of villains. The portal between the worlds closes after the sun sets. According to the subtitles, Mirror-Serena calls Mirror-Ash "Crybaby Ash"
I was actually quite shocked when I found out that Mirror-Team Rocket were heroes in the Mirror world. The end of the episode is funny as Team Rocket meet their mirror world selves. The look on their faces is just priceless! I'd have thought Mirror-Ash would be a genius and actually won Pokemon Leagues. If they were going for polar opposites why not increase intelligence as well? I'd have written everyone either being way smarter of less intelligent in terms of Mirror copies.